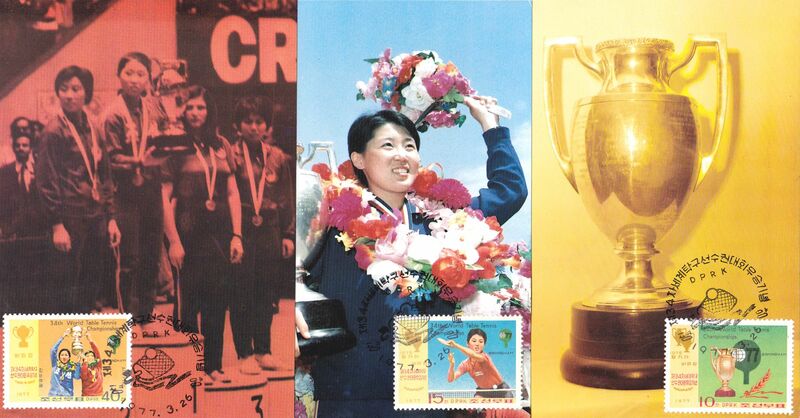 L9389, Korea Maxicard 3 Pcs, "34th World Table-Tennis Championship", 1977. MNH. Issued by Korea in 1977, with original mark. 3 pcs totally.